It didn’t take long, but after a heartbreaking closure of their King of Prussia Plaza storefront and a move to a mall kiosk, Comics and More will be moving into a new location. The kiosk officially shut down on Monday, January 31st, after operating for less than 3 weeks. On Tuesday, February 15th, Comics and More will open its new doors in the King of Prussia Mall’s Court with its first new comic book day scheduled for Wednesday, February 16th. This is fantastic news. Shopping at the kiosk was a very different experience and not conducive to long term success. The new storefront is much larger than the former location and plans are already in place to make the store a destination for comics fans. 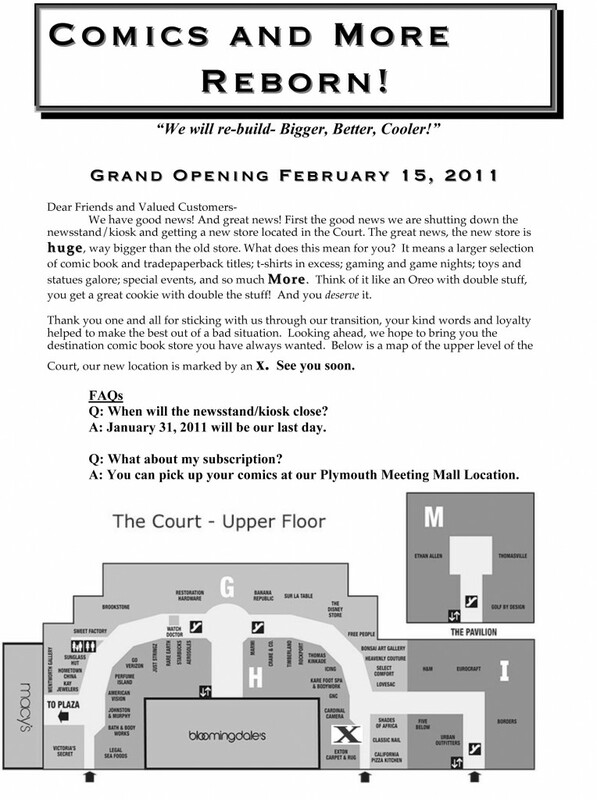 At their Plymouth Meeting location, Comics and More routinely hosts gaming events and signings and the hope is to bring those kinds of events to the new King of Prussia store as well. Obviously I can’t wait for the change over, but in the meantime customers are being referred to the Plymouth Meeting location for new books today and next Wednesday. 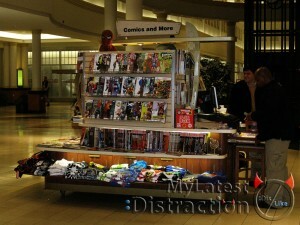 It’s great to see that the long Comics and More tradition in King of Prussia will continue.